Some friends and I went in together to buy next-to-all-natural/organic peaches. We don’t mean just a few to maybe do a cobbler and eat fresh. Nope, nuh-uh. We decided to get enough to last for a while. Five bushels of peaches! We’ve all eaten more than our fair share of peaches the past few days. Some got turned into 22 pints of canned (Not freezer, will have to try that some other time!) Jam. 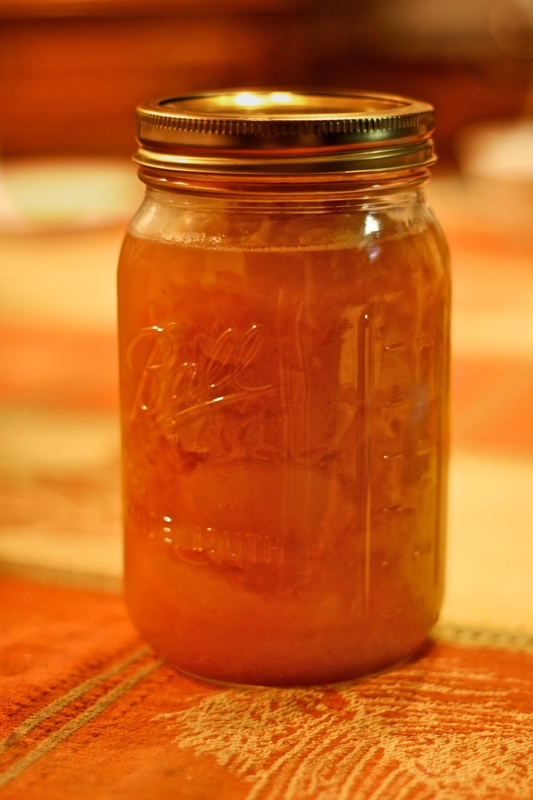 Others were converted into 15 quarts of canned peaches. Some with honey, some with raw sugar. Some ended up as 1/2 a gallon of raw peach juice. A few cups of the juice wound up in peach ice cream. The rest have been blanched, pealed, cut up and frozen. Or, of course, eaten fresh. We still have a few fresh ones hanging around. They just get juicier and sweeter with each passing day. The yummiest recipe invention the day dedicated to the sweet-juiciness-that-is-peaches-produced was undoubtedly the peach ice cream. Although no measuring happened (Who seriously expects me to measure anymore??) I can share the general idea and encourage experimentation. 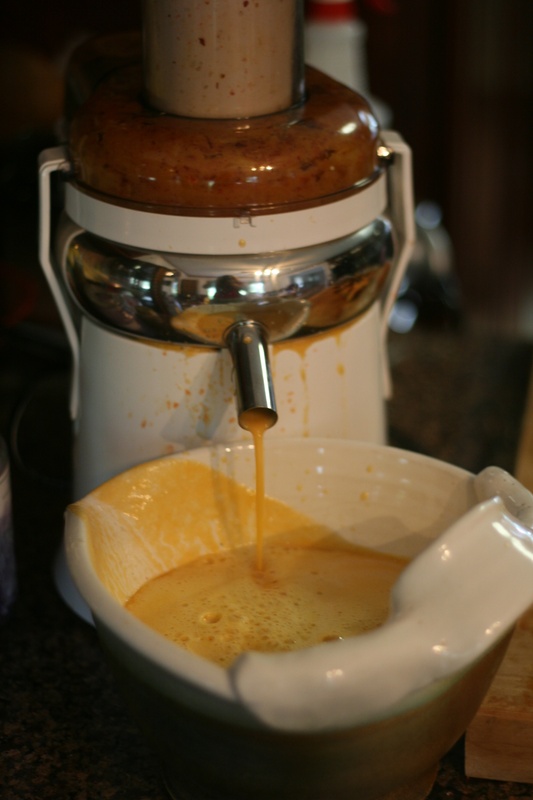 Combine juice and sugar together and allow to cook down/concentrate a bit so the juice becomes a bit thick and creamy. – Generous splash of Vanilla. Aaaand one more for good measure. – 6 farm fresh/free range egg yolks pureed in. Since I don’t have a problem with these being raw no need to add these in sufficient time for them to “cook” I used my hand held stick blender and added them in one at a time to ensure creamy consistency. Taste to make sure all is well. If it isn’t quite sweet enough a small amount of powdered Stevia or honey can be added at this point to taste. It dissolves much better than sugar not to mention is technically healthier. Pour liquid ice cream into 1 gallon ice cream maker to fill line and proceed as one normally does when making homemade ice cream. 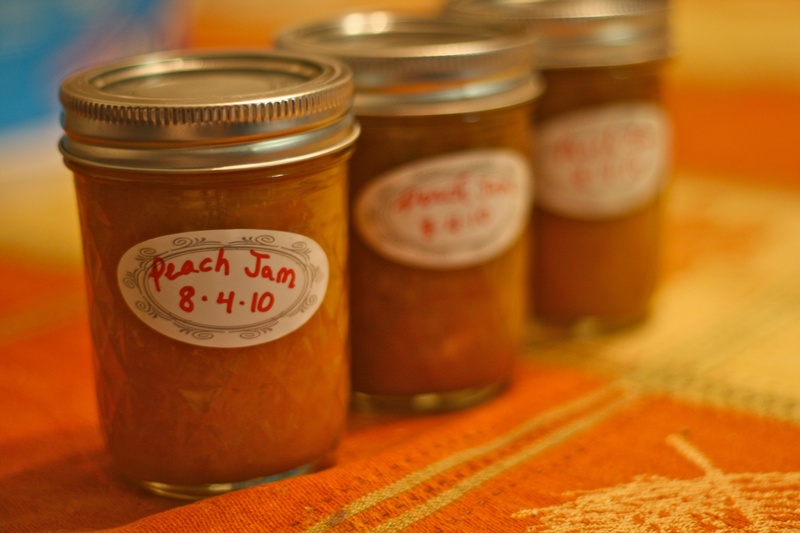 Serve with a dollup of Peach Jam on top and/or chopped fresh peaches. This stuff is addictive. Seriously. The flavor the coconut milk adds is just enough to make this unique but not over powering enough that anybody can even quite tell what that extra yummy flavor is. 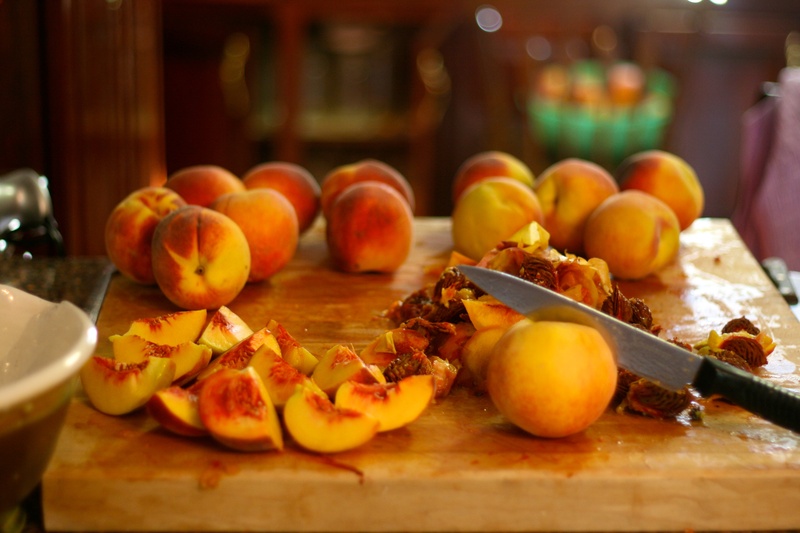 So what are your favorite peach recipes? Please share! 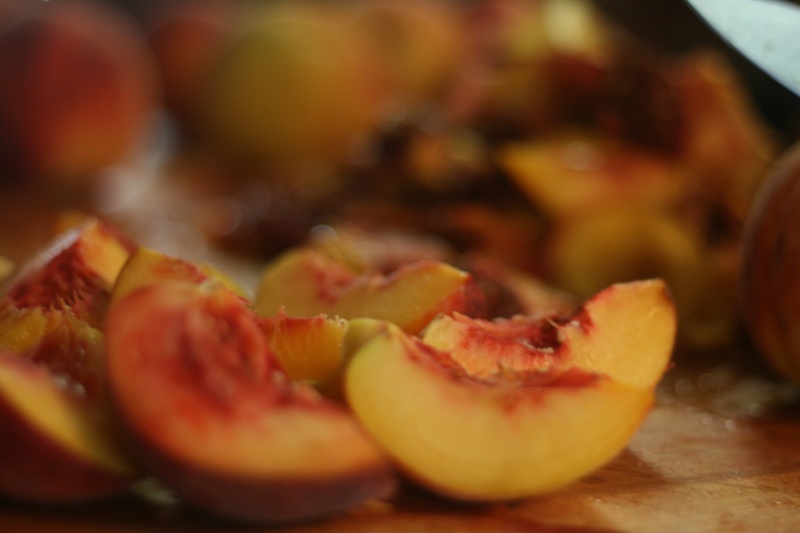 I have a freezer full of peaches to turn into yummy things in the coming months and there is nothing I love more than some tried and true deliciousness from someone elses kitchen. I don’t have any peach recipes, but wow, those all look amazing! Even just the plain peaches look better than the ones we’ve been picking up at the store! It reminds me of James and the Giant Peach. I loved that book when I was in fourth grade.